Prototechasia is specialized in prototypes and low volume plastic parts. Our technologies for manufacturing low volume plastic parts are mainly CNC machining and low pressure vacuum casting. 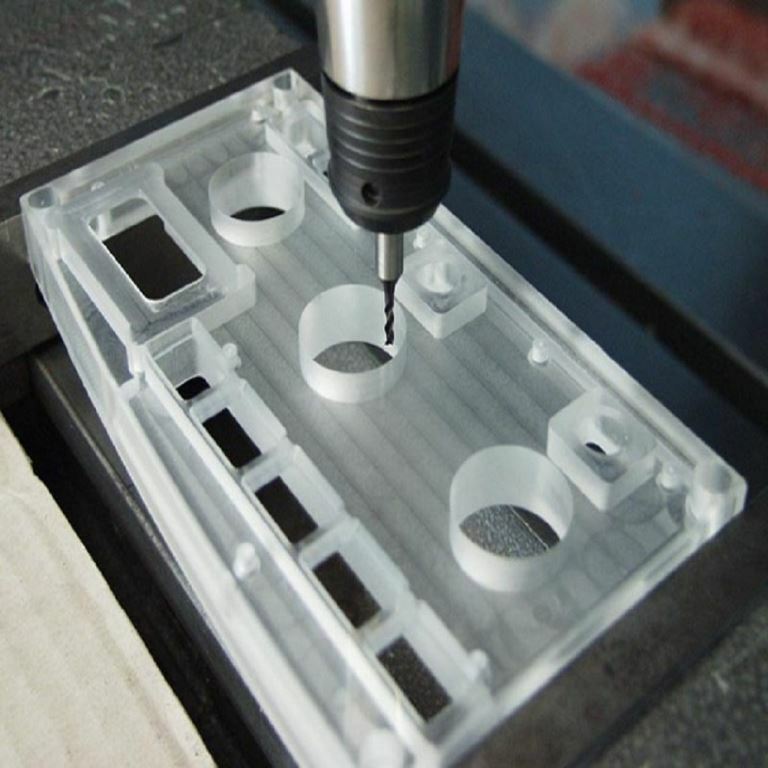 CNC machining is usually highly recommended for low-volume manufacturing services, except if it is imperative to use the real plastic material. Indeed, CNC machining does use the real plastic material while vacuum casting employs an equivalent, albeit offering very similar physical and mechanical characteristics. As a matter of fact, our main process for low volume plastic parts production is cast urethane parts due to the fact that above ten parts, it overtakes CNC machining in terms of interests (price and lead time). The main reason is that tremendous economies of scale are generated thanks to the tooling. Looking for a low volume plastic parts manufacturer? 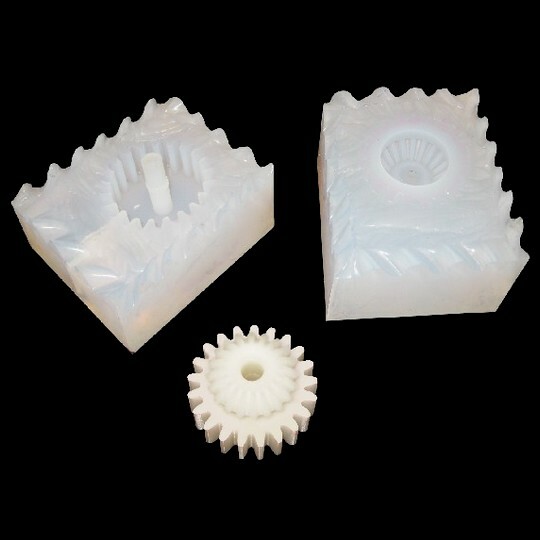 The silicone mold can be used several times, usually up to 20 thus offering an important gain of time and money over other technologies for small batch of plastic parts and prototypes. What’s more, the mold can be store several weeks thus enabling to put a production on hold. Another advantage is that once the mold is produced, a part can be done in several copies with various materials. It is possible to do several degrees of shore for instance when it comes to soft parts. Low volume plastic parts made out of molding polymers may have various final utilizations. They may be used for technical tests, or produced with the idea to be sold in B2C. In case of emergency, vacuum casting fits for the production of spare parts. Another advantage of silicone molding is the fact that several copies of a same reference may be used to undergo various tests where each of them requires a new part. Moreover, flexible parts may be produced thanks to elastomers materials. A three dimensional model of the prototype is designed on CAD files. A master model is machined or 3D printed from the drawings. A mold is produced by encasing the 3D printed model inside silicone rubber. An oven is used to cure the mold. The master model and the mold are separated, thus freeing the mold cavity. The mold is inserted inside a vacuum machine where the plastic liquid is injected. The mold is cured once again to solidify the casting resins. The polyurethane part is removed from the mold, which can be used to start over the process. Materials used in vacuum casting offer different properties and are mainly the following: polyurethane casting rubbers, polyurethane casting plastics, silicone rubbers, urethane rubber, urethane resins, epoxy casting, polyester and epoxy resins. Yes we have vacuum casting technology to produce low series of small parts. In order to produce your parts, we need 3D files drawings to confirm feasibility. We also need to know what is your requirements for the material. To produce different shore hardness component, we produce with one PU similar TPE from Heicast. The resin is UPX 8400. Then you can control the hardness according to the mix you prepare with this resin. Do you have the entire catalogue of Axson material available in your workshop? I need a very specific PU material for my project? We are buying some of our PU Materials from Axson but we mainly have access to the Chinese catalogue and the material that Axson provide for the Asian market. In some cases, we are able to supply it through a different partnership. Please specify the material you need. Looking forward for your mail! Hello, my CAD files are too heavy to be sent by mail or through your website, do you accept wetransfer exchanges? Absolutely! Pease send us an e- mail with the access code to your exchange platform so we candownload the files and we will come back to you with a quote shortly.